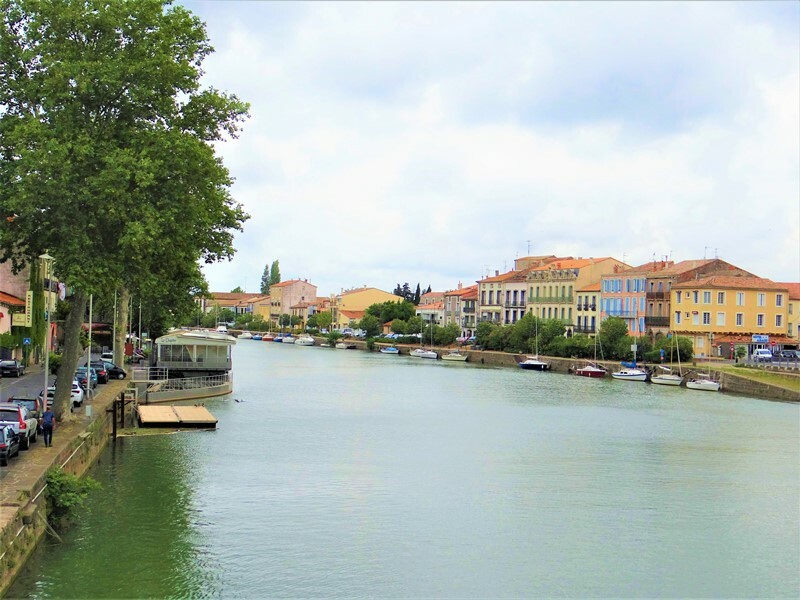 Very bright apartment with balconies, stunning location next to the river Hérault in Agde, just a few kms from the Mediterranean. 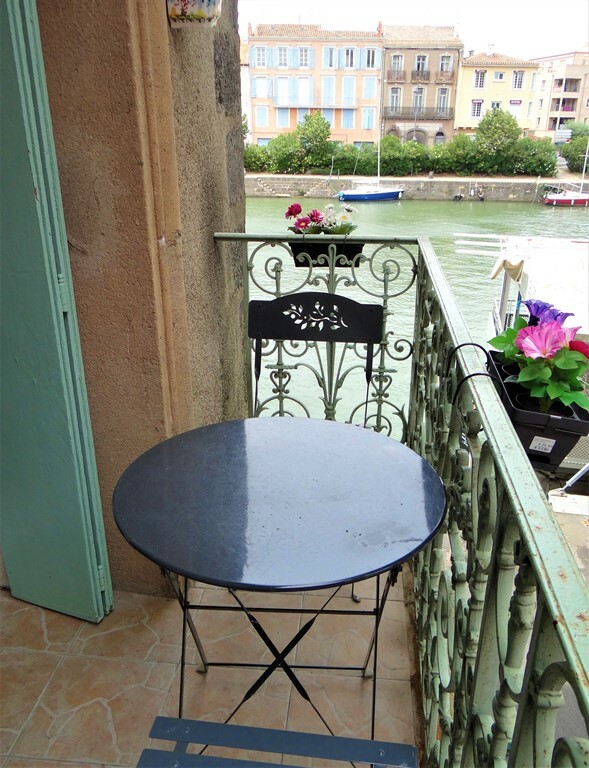 The apartment is situated on the 1st floor in a genuine building next to the river. Situated on the corner with windows on 3 sides. There is a very nice and spacious living room with french doors giving on to the balcony along the facade, with views of the river. There are 3 bedrooms (2 with balconies) and 2 shower rooms. There is a equipped kitchen (hob and fridge) with views of the river. 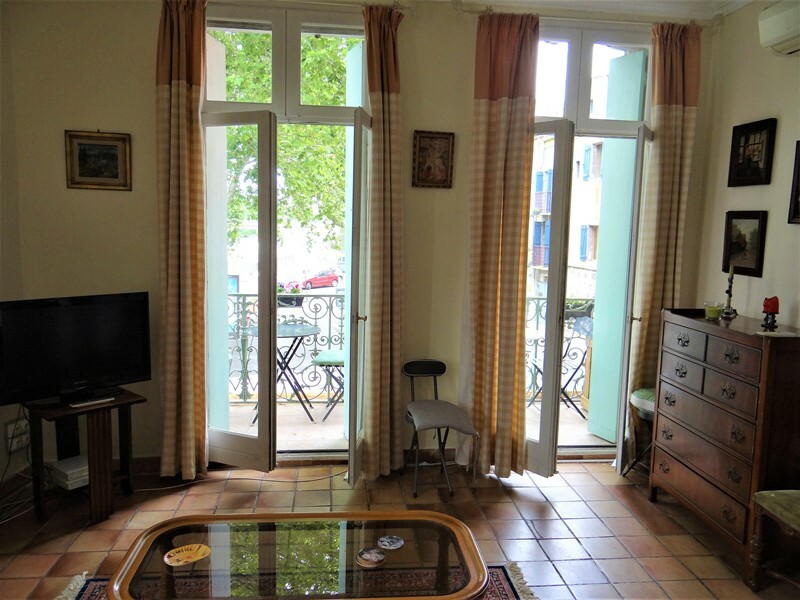 A very nice apartment to use all year round, also suitable for rentals, if you wish. Possibility to buy some furniture. 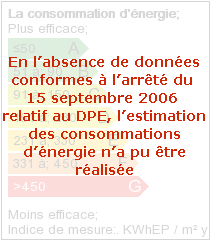 The tf is 1300/year, charges to the co-propriété 232€/trimester (including water). Walking distance to all shops, weekly markets, railway station, restaurants, mediateque, tourist office. Cycle/walking path along the river (3km) right down to the Mediterranean beaches!